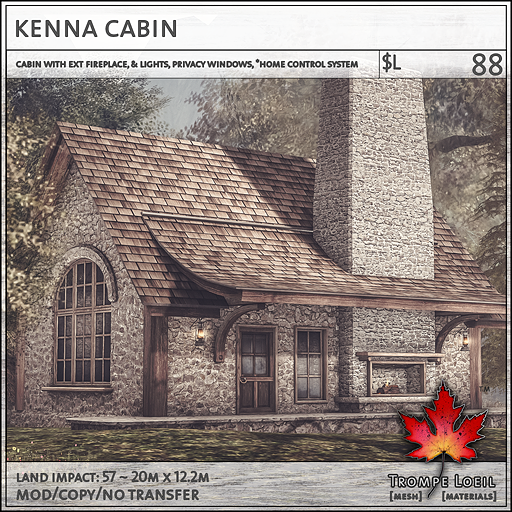 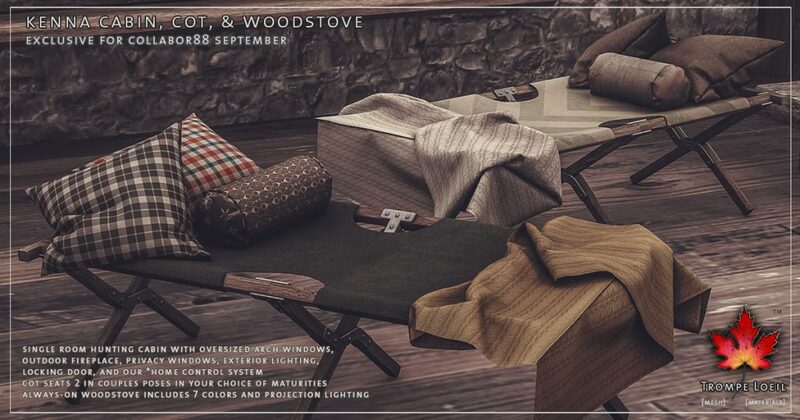 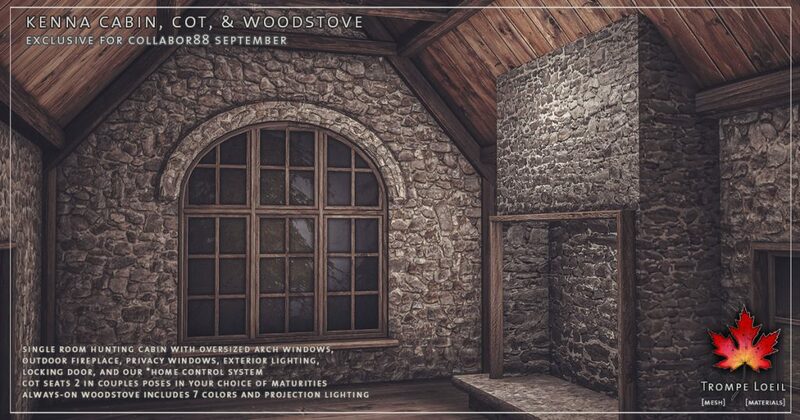 Cool flagstones keep the chill in the air at bay when your forest escape is a cozy cabin with an outdoor fireplace built for entertaining – the new Kenna Cabin, Cot, and Woodstove for Collabor88 September! 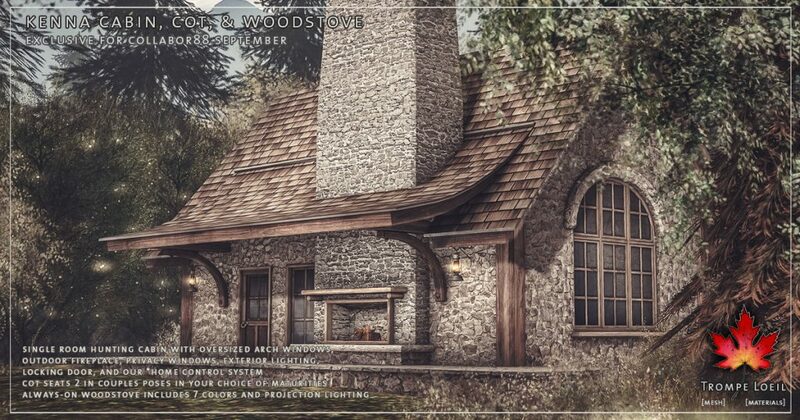 The Kenna Cabin is a single room stone cabin with oversize exterior fireplace, interior fireplace or alcove (your choice), oversized arched windows, privacy feature, exterior lighting, locking door, and our *home control system. 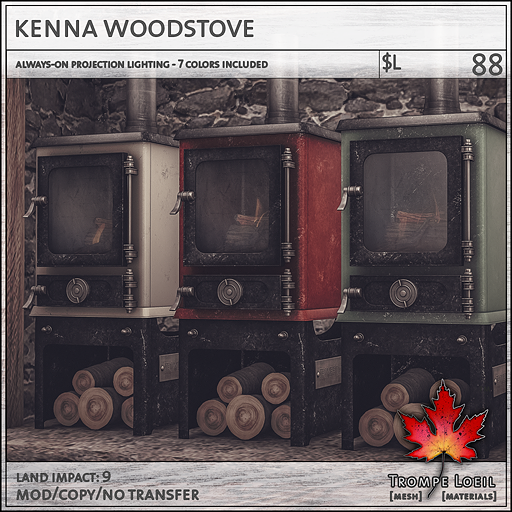 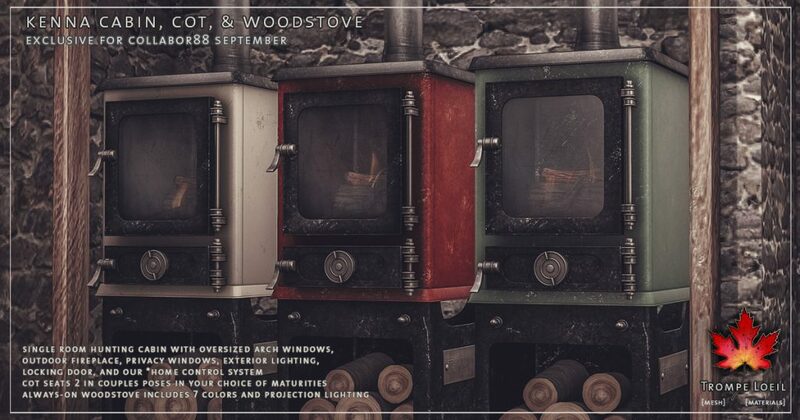 Plus, the Kenna Woodstove features always-on projection lighting and 7 color options on touch! 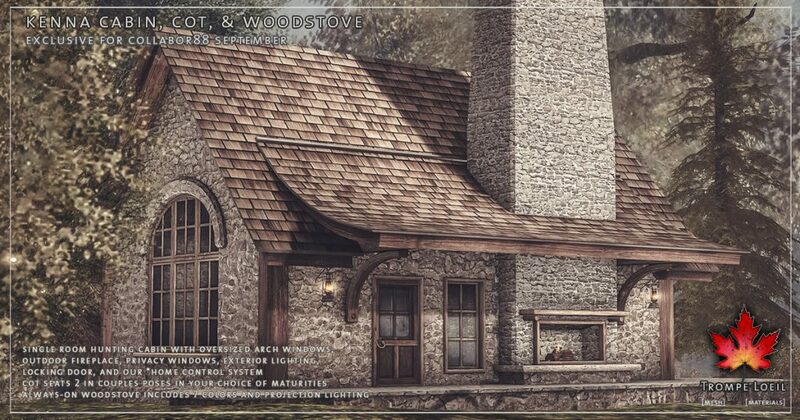 We include short and tall stack to fit most structures. Don’t forget the Kenna Cot, a camper’s dream with tons of pillow and blanket texture options, built for two in your choice of maturities! 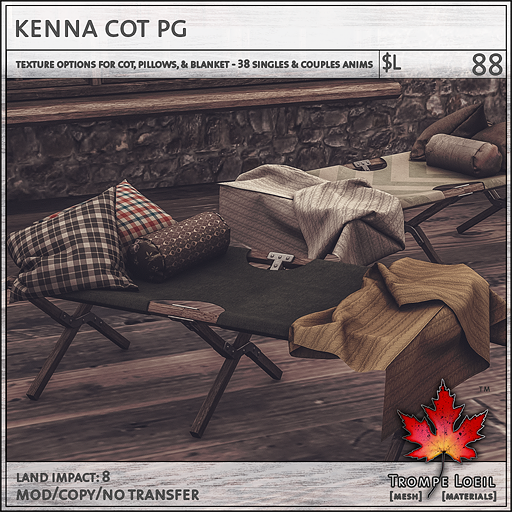 Grab them at great C88 prices during September’s round!